Welcome to my Hilton Orlando Bonnet Creek #MarathonWeekends Review! Rarely ever do I stay off property when I visit Walt Disney World Resort for Marathon Weekends, however, last week I had the opportunity to stay over at Hilton Bonnet Creek Resort to check out their Race Amenities and Runners' Retreat....and WOW. I'm so glad that I did. 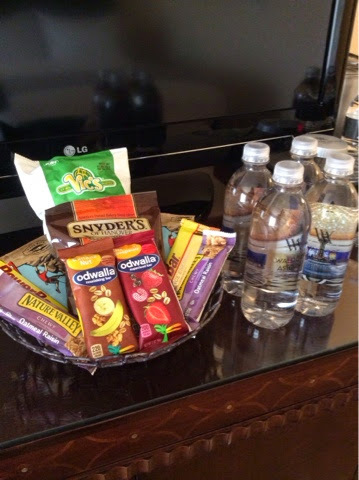 Hilton Orlando Bonnet Creek and Waldorf Astoria Orlando offer runners a VIP experience fit for an athlete! I was thoroughly impressed with this resort. From the resort itself, to the race amenites, to the transportation, to the service....perfect! I am already making plans to stay again during future runDisney event weekends. Walt Disney World Marathon Weekend, January 7-11, 2015--Complimentary transportation is provided to and from the races on January 10&11. Disney Princess Half Marathon Weekend, February 19-22, 2015--Complimentary transportation is provided to and from the race on February 22. I want to do a few posts on my experience as one will post will simply not do it justice. The walkway in between Hilton Bonnet Creek and Waldorf Astoria. I honestly had no idea that the Hilton Bonnet Creek Resort and Waldorf Astoria were so closely related. I knew that they were located in the same area but once I checked in, I was taken on a guided tour of both resorts and there were SO many things to do at both resorts! They are huge and can accommodate lots of guests, activities and events. There was a also a Disney gift shop located inside of the lobby of Hilton Bonnet Creek. I enjoyed going back to my resort after a full day in the parks and doing some of my shopping there. All of the comforts of "Home". 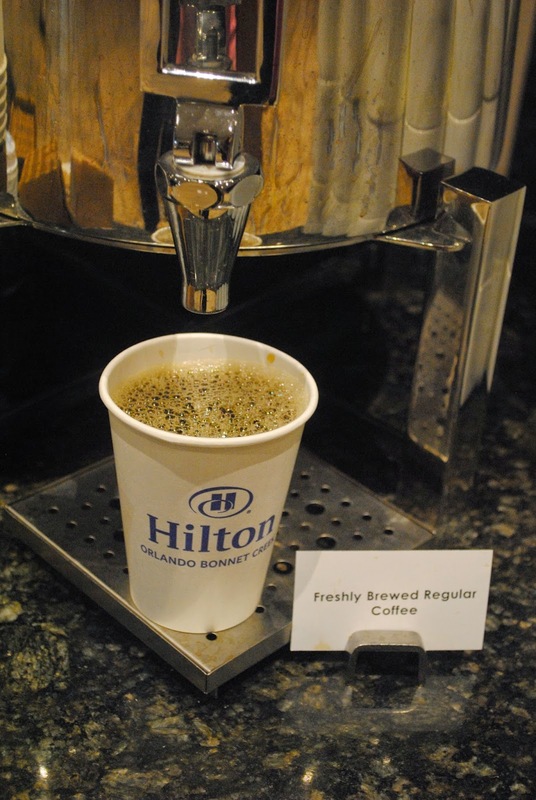 When I think of describing Hilton Orlando Bonnet Creek and Waldorf Astoria Orlando, one word comes to mind. LUXURY. I really felt like I was on a relaxing vacation. With all of the hustle and bustle in the Disney Parks, it was just nice to come back at the end of the day to a relaxed environment. The details of the hotels were beautiful, the meals in the restaurants were delicious and the service in my room....well it was just perfection. Beautiful Chandy Candy in the stairwell at Hilton Bonnet Creek. This table FULL of fruit infused water was by far one of my favorite amenities in the lobby at Hilton Bonnet Creek. From a runners' perspective, one of the main things I'm always aware of is my hydration before a race. Every time would walk by this table, I would grab a cup of this deliciousness! that can be delivered right to your room! Another concern that I had while staying at the Hilton Orlando Bonnet Creek versus staying on property was the convenience factor. On this trip, I drove my car so leaving the resort and going over to the parks was a breeze. These resorts are located near other Walt Disney World Resorts so I had no issues navigating my way around. The transportation stations were conveniently located just outside of the resort lobby and ran on a schedule. No guess work. Shuttles were on time also. HUGE plus when you are trying to make it to the race on time. The shuttle schedule can also be found on your smartphone at www.bonnetshuttle.com. How cool is that?? Race Transportation signs throughout the hotel to guide the runners. I was concerned about dining options before I checked in. Would there be things that I liked? I'm a picky eater before I run...will I be able to eat foods that I normally eat before a run? Would the options be too expensive at the hotel? Upon check-in, I was given a list of 12 restaurants to choose from at both resorts and I have to say that there was MORE THAN ENOUGH variety to choose from. Prices ranged from inexpensive to very expensive depending on your taste. Again, I was very pleased with these options. La Luce by Donna Scala. Modern Italian Country kitchen serves dinner nightly and features thin crust pizzas, family style pastas, Meditterranean-inspired drinks and a Trattoria-style wine program. La Luce is a runners' dream restaurant! How cute are these cookies?! Perfect post-race yummy found in Muse, 24 Hour Pastry Shop and Coffee Bar located on the lobby level at Hilton Bonnet Creek. Sushi is MY favorite way to carb-load! Grab a burger while laying by the pool at Beech! 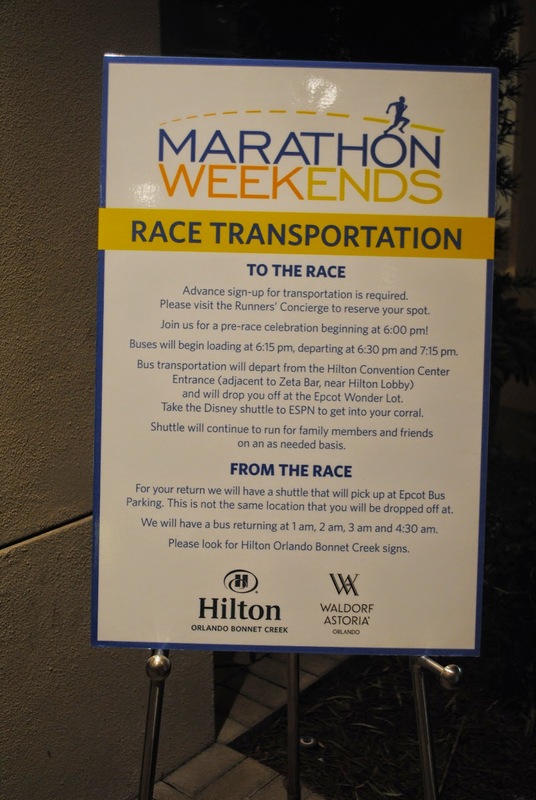 As a guest of Hilton Orlando Bonnet Creek or Waldorf Astoria Orlando, runners who are running the runDisney events are given a Runner's Resort Guide to inform them of all of the activities that will be taking place over the Marathon Weekend at the two resorts. Runners check in with the Runners' Concierge where they receive information regarding Marathon Bus Transportation, runDisney Health and Fitness Expo information, Race information, Hotel information and various running supplies. 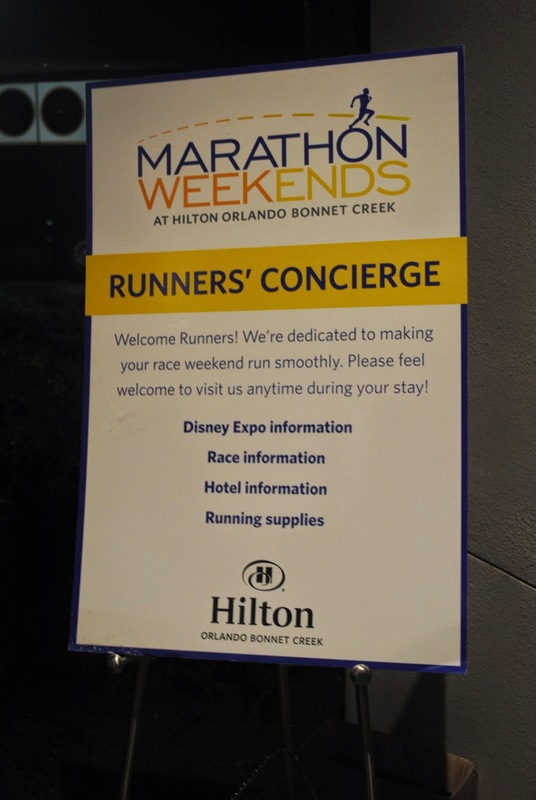 The Runners' Concierge was available for several hours on Friday and Saturday during runDisney Wine and Dine Half Marathon Weekend. What is available at Runners Retreat??? 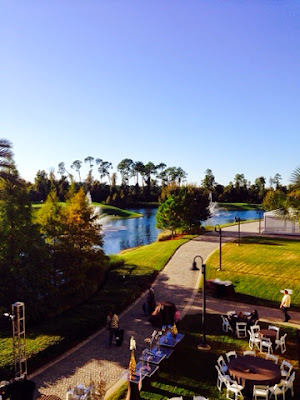 Runners' Retreat at Hilton Orlando Bonnet Creek is just a weekend full of FUN!!! My goodness, they have created their own hashtag, #MarathonWeekends and basically rolled out the red carpet for their guests!! Before boarding the buses to the race, guests arrived outside of the the lobby for "THE BIG SEND OFF" and were treated to tables FULL of granola bars, Power Bars, Water, Bananas, Coffees, Teas, Ponchos and even Glow in the dark necklaces!! There were photo opps, fun signs, dancing, group pics and party music!! Again, the attention to detail was just phenomenal. The Hilton team behind the #MarathonWeekends Fun! Time to run a night race...LET'S GLOW!!! The runners meeting outside of the lobby before boarding the bus! Runner Fuel! Bananas, Power Bars, and TOYO Granola bars! The runners took the Disney Cruise Line bus to the start of the race. A variety of creamers and sweeteners. 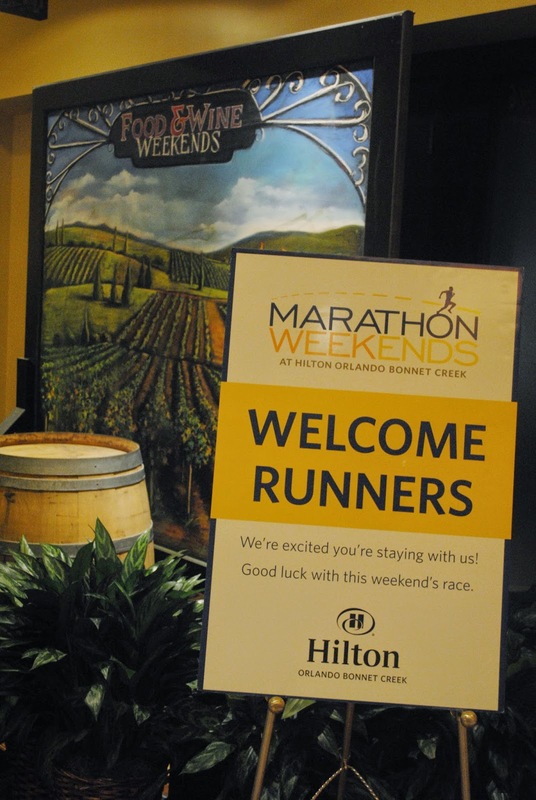 Guests could also participate in "Hilton Bonnet Creek's Runner's Challenge"---Participants of The Disney Wine and Dine Half Marathon have a chance to WIN A WEEKEND STAY at Hilton Orlando Bonnet Creek by predicting their expected finish time. Entry forms were given to the runners and the runner closest to his or her time will be named the winner. Super fun contest! Harvest Bistro located on the Hilton Ground Level. Carb Loading at "Harvest Bistro"....One of the most popular restaurants at Hilton Bonnet Creek, offers a "carb-loading" dinner menu pre-race $16 per person, plus tax and service charge. I thought that this was an excellent value for the menu that was offered. Guests who have reserved the Marathon Weekend rate will receive a discount by showing their Food & Beverage savings card. More of the delicious fruit infused water outside of Harvest Bistro! How cute is this little candy shop?? Forget something? Need a snack on the go? 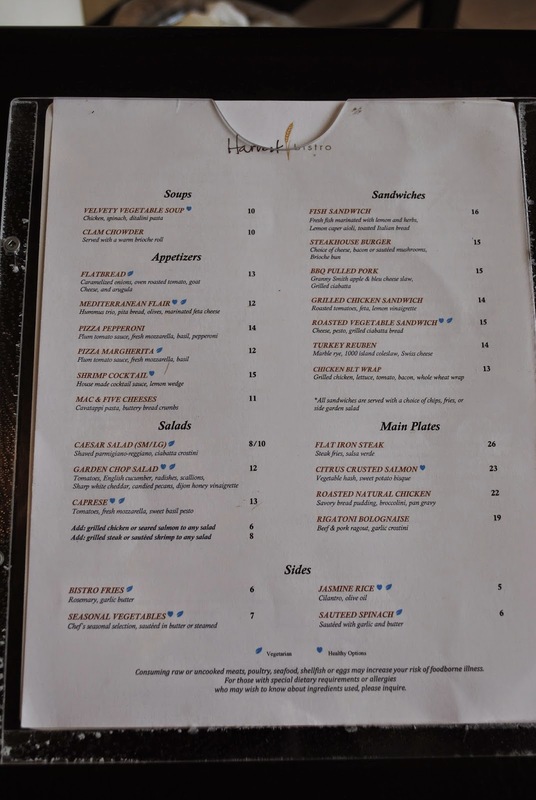 Harvest Bistro is where you will find it! I thoroughly enjoyed my weekend experience staying at Waldorf Astoria Orlando and Hilton Orlando Bonnet Creek! I am registered for two more exciting runDisney race weekends in 2015 and will most definitely make plans to attend #MarathonWeekends again! 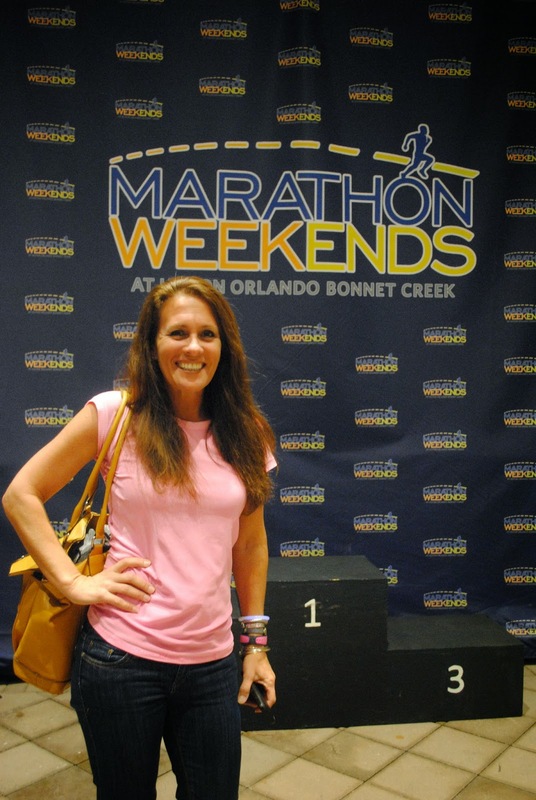 **For more information on Marathon Weekends at Hilton Orlando Bonnet Creek and Waldorf Astoria Orlando, please visit HiltonBonnetCreek.com or WaldorfAstoriaOrlando.com and definitely follow along on Twitter, Facebook and Instagram by searching the #MarathonWeekends Hashtag! 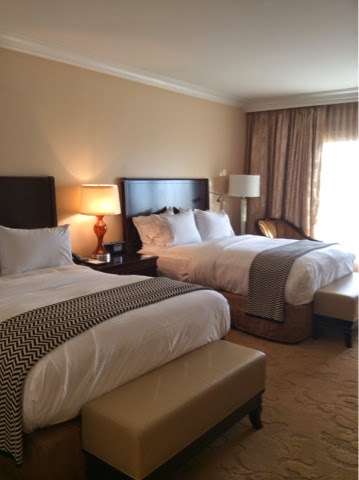 Disclaimer: I was provided a complimentary two night stay at Waldorf Astoria Orlando in exchange for my review and opinions on Hilton Bonnet Creek Marathon Weekends Experience. I absolutely loved the race amenities that were offered to the runners, therefore I give these resorts an extra dose of Bamagirlruns love! I can't wait to share this experience again with my friends during future runDisney events. Thank you again Hilton Orlando Bonnet Creek!